This DWG2SVG converter allows you to publish your CAD drawings as SVG (Scalable Vector Graphics), an open-standard W3C standard for the presentation of compact and high-quality graphics on the web. Easy CAD to SVG Converter is 100% pure ad free software! Free upgrades in the future. 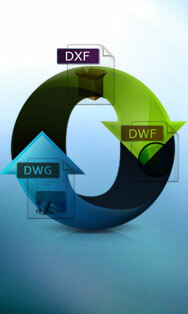 * Convert DWG drawings to Adobe SVG files. * Choose paper space, model space, active layout, all layouts for conversion. * Customize line weight and scaling. * Specify output dimension such as height and width. * Support DWG, DXF, DWF files forward and backward with versions as early as AutoCAD Release 9 and as recent as AutoCAD 2017. * No need for Autodesk AutoCAD. * Support Windows 10 x64 and x86. User Guide for Easy CAD to SVG Web Version, Printer-Friendly Version, Interactive Version. · SVG (Scalable Vector Graphics) is a family of specifications of an XML-based file format for describing two-dimensional vector graphics, both interactive and animated.